I have been oogling over Picture Polish for a few years now, and finally got around to purchasing some. One of the colors that always caught my was Honey Dew, so it finally made it's way home to me! Honey Dew is a bright pastel mint green. Color: Well, hello there Honey Dew! This color packs a punch. I almost want to say this is on the verge of neon. 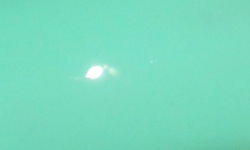 The color is vibrant, fresh, and unlike any mint-aqua green shade I own. Formula: The formula on this can be a bit tricky. I will say, that is expected, I have yet to come across a bright pastel with an excellent formula. This does apply a little unevenly, but I was able to achieve opacity in 3 coats. Price: I purchased this one LLarowe for $12.50. Overall: I adore Honey Dew! I'm thankful it's part of my collection. I don't have a color quite like this, and a punchy vibrant green is certainly welcome in winter! Yay! I LOVE this color!! I wish the formula was better, but just like you said - I expected it since it's both neon-ish bright AND pastel at the same time. I'm glad you love it too! I so wish colors like this had a better formula, but they are so worth it anyways.